Home / Censor / DD-WRT / Free / Great Firewall of China / proxy / Router / Taobao / VPN / 10 tips for dealing with and getting past internet censorship in China (The Great Firewall of China). 10 tips for dealing with and getting past internet censorship in China (The Great Firewall of China). If you are reading this, it likely means that you are planning on going to China or you currently are in China and have already found a way to bypass China's great firewall. If you are not in China but planning on going, these 10 tips will help make your life easier once you get there. If you are already in China, chances are you have already done a few of these things but it will be good to look through this list to see what you can still do. Quick refresher on the internet in China: China censors almost all of the most popular websites common in the US. This includes, Facebook, Twitter, anything Google owned (Youtube, Gmail, Google search, Google Docs, Android services etc), and most blogging platforms. In order to survive in China, you either have to learn how to live without using these websites or you will have to get a VPN or proxy. Below I have listed 10 tips that will hopefully make your internet life in China a bit easier. 1. Get an email account that is not Gmail. Now I am not suggesting that you stop using Gmail, I am just saying that you should have an email account that you can always access. The Chinese government seems to hate all things Google. As of now (January 2015) I can't think of any Google product that works in China without a VPN. I still use Gmail with my VPN but I also have a Yahoo mail account that I can use if necessary. I have Gmail forward all my mail to Yahoo and have Yahoo set to display my Gmail address for outgoing mail. Having a non Gmail account is important if you ever need to access email but you are at a friend's place or a public place. Yahoo and anything Microsoft (like Outlook) tend to work ok in China. You can even use a Chinese email provider (I would suggest using QQ email because almost everyone in China uses QQ and they have an international version for those who don't read Chinese). 2. Get a VPN or proxy. 3. Get a backup VPN or proxy and put it on a USB drive and/or email it to yourself. What do you do when your VPN expires or stops working? What do you do when you are at school, work, a friend's place, a restaurant etc where you are not on your own computer? This is why you need backup. My suggestion would be that you download the free proxies Freegate or Ultrasurf. Both of these programs are run from a single executable (.exe) file and can be run from a USB drive. I have both of these programs on a small USB drive that I keep in my wallet. Both of these programs run on Windows but can also be run on Mac and Linux with a bit of work (using Wine). You can also email these files to yourself so that you can download them on any computer (the websites listed above are blocked in China). One trick to this though is that Gmail (and presumably other email providers) does not allow you to email an exe file. To get past this, you can simply change the .exe file extension to .jpg. After you have downloaded the file, change .jpg back to .exe and run the file as you normally would. Both Freegate and Ultrasurf are fantastic as free products. They definitely get the job done. You could use either of these and possibly be quite content without paying for a VPN. Neither proxy though is very fast and they both experience problems of disconnecting frequently. Some VPN providers offer software that also does not need to be installed and can be run from a USB drive. If you think this is something you might need, you should contact the VPN provider before you purchase their services. 4. Get a non-Chinese router (or two). Preferably one in which you can install DD-WRT. The only reason I suggest getting a non Chinese router is so that you can read the settings in English. This is not necessary but may be helpful if you need to make changes to the router. DD-WRT is firmware that you can install on some routers. I recommend getting a router that allows you to install DD-WRT. With this installed, you can configure the router to use VPN. This means that any computer or smart phone that you have connected to your router will already be connected to your VPN. Note: to do this, you will need two routers; one is a router that your Chinese internet provider will set up, and the second router will be the DD-WRT router that is plugged into the first router. Any money you spend on getting a second router can save you money in the long run by making it needless to purchase additional VPN for your phone. 5. Set the DNS server address on your router to something other than the default. If you find that you have difficulty connecting to your VPN, the reason might be that you need to change your DNS server address. 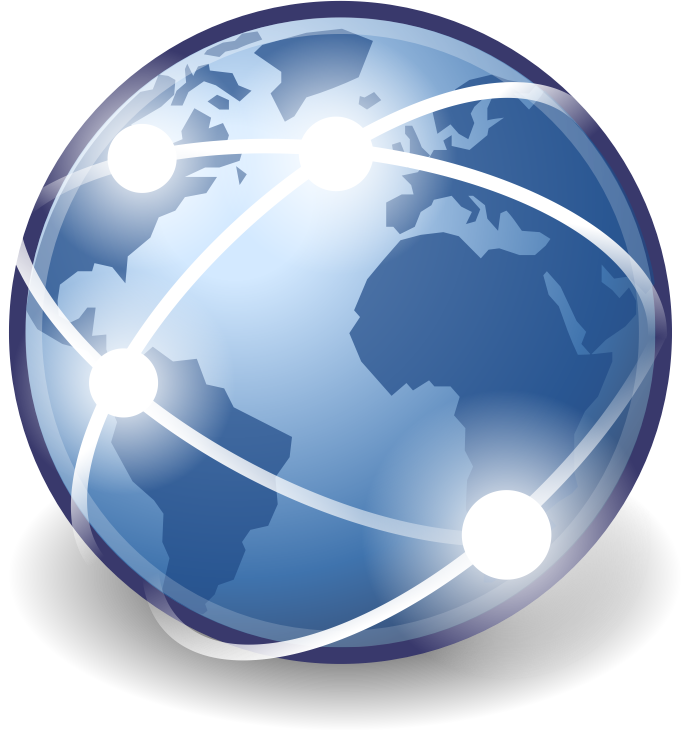 The DNS server is what converts a web address (URL) into an IP address. To be quite honest, I am not exactly sure why this makes a difference but I do know that in the past when I had a major problem connecting to my VPN, after changing my DNS address I no longer had any problems. Here is a good list of free public DNS addresses. I suggest trying OpenNIC. They provide many servers across the world and can search for the one closest to you. 6. Find a VPN for your smartphone. If you have Android then most of the syncing functions and all of the Google apps will either work poorly or not at all. If you want to use the Play Store and other apps, you will need a VPN (or use a DD-WRT router with VPN like I suggested in tip #4). Here are some free VPN apps that you can download for your phone. Keep in mind that China is always cracking down on VPNs and some of these apps may not work anymore. 7. Download an additional app store for your smartphone. If you don't have a VPN for your phone or just choose not to use it because it is so slow, you may want to consider getting an additional app store for you phone. China offers many app stores. Most of these are quite terrible, offering a lot of malicious apps and are usually only in Chinese. One store that I find acceptable (maybe even good) is Snappea. Just go to snappea.com on your phone and you can download the app. This app is good for keeping your apps up to date and contains more apps than the other Chinese app stores. Another option is the Amazon app store (it has worked in the past but there is a good chance China could block it in the future). 8. Learn how to use Taobao. Taobao.com just might be my single favorite thing about China. It is an online mega store (like ebay or Amazon). You can find almost anything on Taobao and shipping prices are generally quite cheap (if not free). The reason I suggest you learn how to use Taobao is that if all else fails, you can purchase a proxy on taobao. Taobao will never be blocked in China. I have purchased a few proxies and VPNs in the past on taobao and they usually work quite well (and are quite cheap). Taobao is also a good place to buy a router. I bought a router on taobao with DD-WRT already installed. Taobao is only in Chinese; it is good to have a Chinese friend help you with it the first few times you purchase from there. I have been able to navigate though without ever having any help. Once you do it a few times it can become quite easy to use. 9. Concede. Use some Chinese (or other unblocked) websites. baidu.com - I only use this to see if my internet is working or not. It is not uncommon to have internet problems in China and sometimes it is hard to know if it is your VPN not working or just the internet in general. If baidu does not load in five seconds or less then there is a good chance that the internet is just not working at all. bing.com - I use this instead of doing a Google search. I don't care for Microsoft or Bing, but China seems to like Microsoft and to my knowlege, Bing has never been blocked and it is more useful than using Baidu. taobao.com - eBay, Amazon, and Google Shopping all in one. kuaipan.cn - A dropbox replacement. Kuaipan gives you a LOT more space though (50+ gigs). qq.com or QQ International - This could be an IM, email, and Facebook replacement all in one. snappea.com - Google Play store replacement. This is a kind of lame tip I know. It really is important however to realize that surfing the Internet in China will never be as fast, smooth, and uncensored less censored like it is in America. Take a breath and relax. Things will be slow. Just take a moment and think back to ten years ago when you were using Napster and waiting for images to render when loading a web page. There there... now don't you feel at little better? At least the internet exists in China. You could be in North Korea.